With its low sides and wide base, the rondeau is an ideal braising vessel and uniquely effective as a slow-cooker. 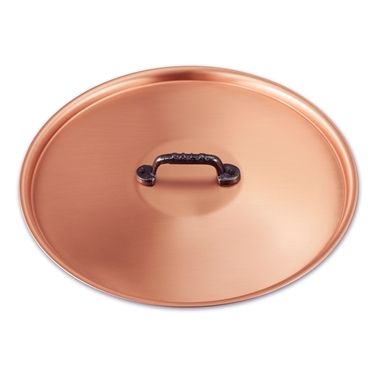 The loop handles are completely oven proof. 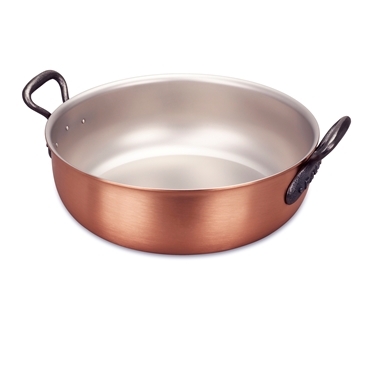 The wide base facilitates browning and the low straight sides help maintain moisture. 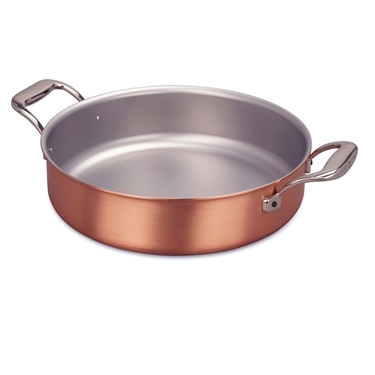 The hallmark attributes of copper; even heat distribution and rapid response to temperature change, make Falk Culinair pans a natural choice for cooking enthusiasts. 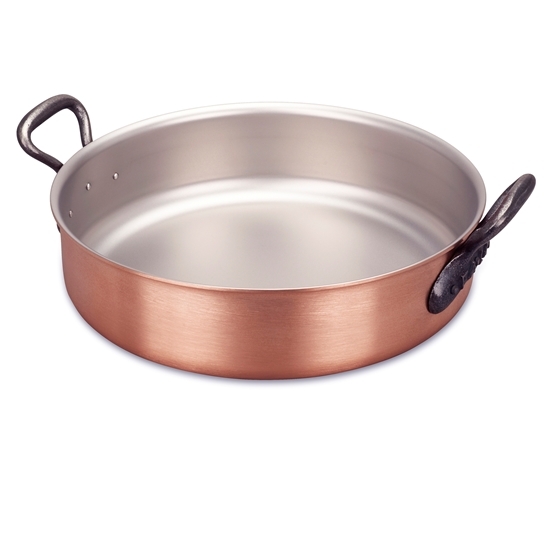 The stainless steel coating provides a durable and safe surface for contact with food.